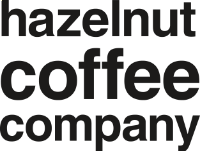 Founded in 2014 by Jeff and Patty Hazel, the Hazelnut Coffee Company is conveniently located in Celina. Each employee takes pride in handcrafting every order to perfection. Serving the requisite coffee shop fare, Hazelnut is a friendly, peaceful stop to start a morning off right, or for a quick afternoon pick-me-up. The quality doesn't stop there. Hazelnut is co-located with Old Hatch Roastery, providing proprietary blends of beans at the pinnacle of perfect freshness. Old Hatch roasts a unique selection of beans weekly for Hazelnut, as well as for a selection of coffeehouses across the country.